On Saturday, US Representative Edward Markey, D-Mass., accused the US Coast Guard of being complicit in BP's "carpet-bombing" the Gulf of Mexico with Corexit, the oil dispersing chemical BP applied to the crude as it was gushing up from the runaway Macondo well. BP, and in some instances the Coast Guard itself, also applied the dispersant on the surface using aerial spraying equipment. Markey laments that BP and the Coast Guard's frequent and copious use of the chemical violated an EPA order to BP, which instructed the company to only use Corexit in "rare cases." 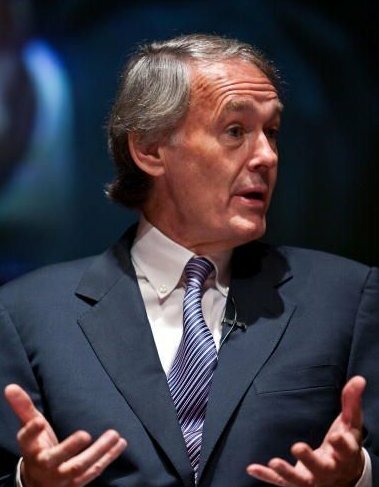 Markey seems to believe that an EPA order to BP has teeth, but under the Oil Pollution Act of 1990 and the National Contingency Plan developed under that statute stipulate that the Federal On-Scene Coordinator is the federal official whose job it is coordinate and direct the response to the incident. Furthermore, the Joint Incident Command is set up to loosely follow the National Incident Management System, or NIMS. Under NIMS, a single federal official--the Incident Commander--is responsible for directing all activities until the incident is over. You'll get no argument from me that the federal response was poorly organized and poorly executed. Calling it "organized chaos" would be an insult to chaos organizers everywhere. But as discombobulated as it was, nowhere in the NCP or NIMS is EPA given the power to circumvent or contradict the On Scene Coordinator/Incident Commander/Whatever. EPA, like Fish & Wildlife and other federal agencies may be part of the team, but they take their orders from Allen, not vice versa. Similarly, BP also takes orders from Allen, not EPA. Markey is just grandstanding during an election year. But you'd think he'd at least read the OPA and the Contingency Plan, right?